Dead Cities turns 20 in 110 days. I held this in my hands for the first time when I was 20 (in 2002) - it did beautiful things to my brain - and it helped me understand a deeper meaning of art / sound / technology / music in general. My first electronic music album - bought back in 98 or 99, got struck by it´s immediacy and that roller-coaster-ride-like atmospheres from scary to etheral, from rocking to jazzy ambience, from techno to classical, otherworldly flashlights of alien DNA amongst the remnants of western society on the pre-millenial turning point. A perfect blend of darkness and light. 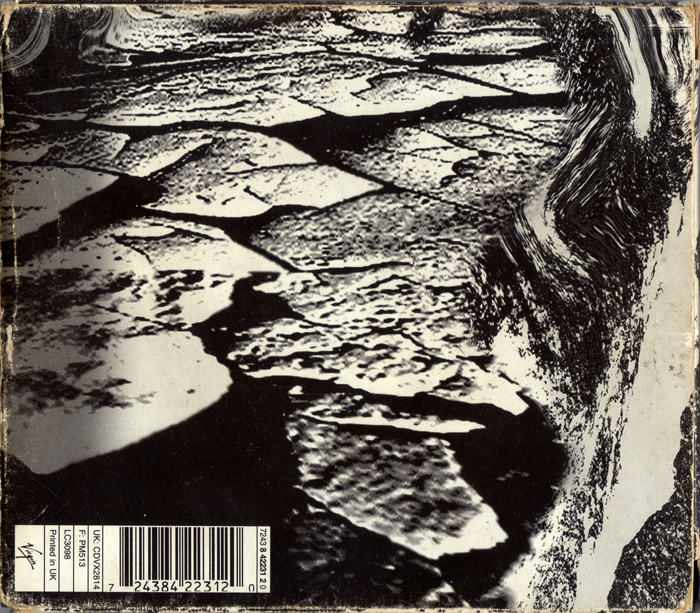 It really seemed to having meant something back then - there were quite a few records that captured that millenium-angst-mood from the end-nineties, some come close like Orbus Terrarum, In-Sides or even NIN´s The Fragile but DC was the clear stand out. My first FSOL album - bought after grabbing My Kingdom and Papua in late '96. Found it a tad difficult at first - expected an easier way in, or at least a tracklist that made sense! Was also disappointed with the album version of My Kingdom. To this day I find it so difficult to listen to because it just doesn't have the majestic grace of the 10 minute version. Anyway it grew on me quite quickly and became one of my all-time favourite records. I sometimes wonder what it would have been like if it was a double album like Lifeforms, there was easily enough excellent material from the era to do a 2 hour record from it. Growing up in a medium-sized town, and only ever visiting smaller cities, Dead Cities was basically my idea of what a city was like for quite a long time. Dark, imposing, packed with a mysterious beauty. It came along at a time when stuff like The X Files was on TV and we had quite a few 'sinister goings on undercover' dramas on kids TV in the UK at the time, so it all made me think of creepy stuff happening in the back streets of London. My joint second FSOL record with Environments 2. 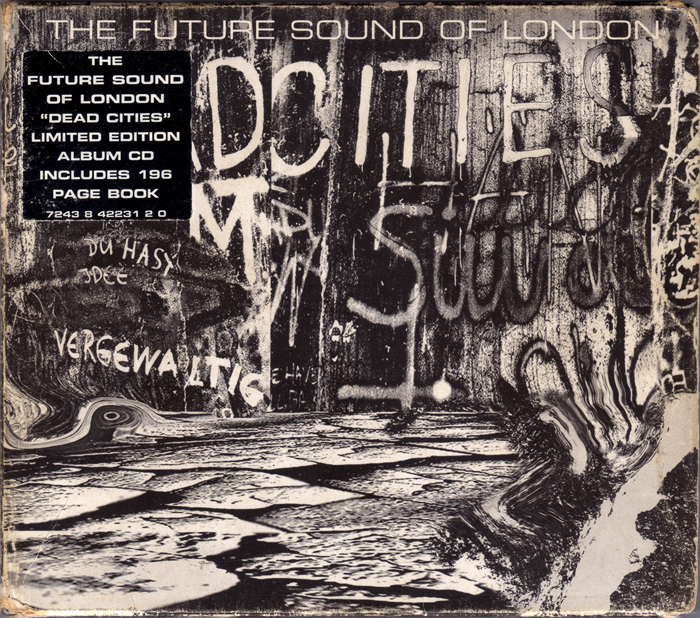 Dennis wrote: My first electronic music album - bought back in 98 or 99, got struck by it´s immediacy and that roller-coaster-ride-like atmospheres from scary to etheral, from rocking to jazzy ambience, from techno to classical, otherworldly flashlights of alien DNA amongst the remnants of western society on the pre-millenial turning point. A perfect blend of darkness and light. It really seemed to having meant something back then - there were quite a few records that captured that millenium-angst-mood from the end-nineties, some come close like Orbus Terrarum, In-Sides or even NIN´s The Fragile but DC was the clear stand out. You captured EXACTLY how I feel about that era.. good times, good times. - Anyone knows the location of the buildings? 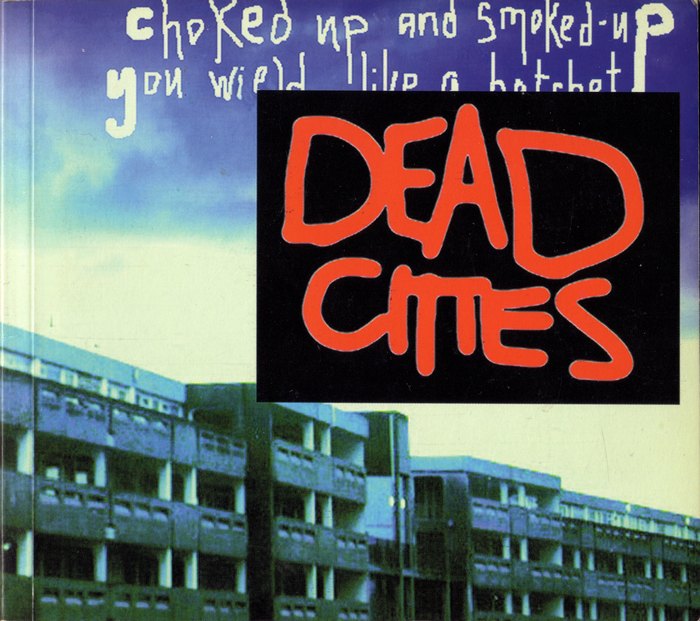 More cut-up buildings, and the Dead Cities logotype. I remember that font on the left, don't remember the name but it's still around. The font on the right though, quite rarely used, underground/graffiti style. Amazing album and that booklet is so inspiring.Whenever I got a creative block I take a look at the booklet or the FSOL Equinox interview on YouTube and it all becomes clear. Think the first one is Hulme Crescents in Manchester, the area was mostly squatted by the mid-'80s and Buggy lived somewhere around that way. The 'Dead Cities' cover logo isn't a font (neither of the Ds or Es remotely match), I believe it was drawn/written by Brian? Ross wrote: The 'Dead Cities' cover logo isn't a font (neither of the Ds or Es remotely match), I believe it was drawn/written by Brian? No interesting background story from me to go with the album. I only got into FSOL in 2012. I think I ordered this and Lifeforms at the same time, listened to Lifeforms first, then I believe i got Accelerator and ISDN, listened to those and then got round to Dead Cities I guess in late 2013. It is a fantastic album and I often switch between Lifeforms and Dead Cities when asked what my favourite FSOL album is (well, not that I get asked often, I just ask myself). Your stories are much more interesting - and references to X-Files, Matrix, Lost Highway (all of which I love) do make me see how well this album, both musically and the artwork, would have fit in with those things when it came out. Ahhh, the late 90s were the best! - In the beginning this one reminded me of a factory entry, hinting the industrial sounds on the album. Yeah, I'd say that's the same place, the red bits match up.